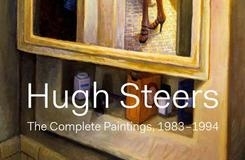 Book presentation of Hugh Steers: The Complete Paintings, 1983 – 1994, featuring over 600 full-color images of Steers’ paintings. Preface by Nelson Santos, foreword by Dale Peck and essays by Cynthia Carr and James Smalls. Published by Visual AIDS.